After two weeks of peaceful protests that led to the resignation of the prime minister and a re-start of Armenia’s democratic development, Armenia’s future is unclear. Hope is mixed with trepidation, political novices and experts are busy reading the Constitution, to try to understand what is and is not possible. Old political powers are not letting go, even as new political actors are eager to take charge. The region and the world are watching. 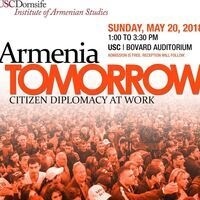 Is the Diaspora a participant or an observer in Armenia’s future? What are the political and institutional mechanisms that will ease a transition that seems inevitable, but not defined?